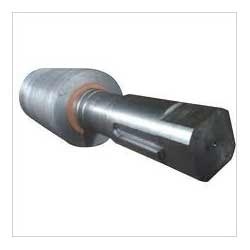 We provide our clients Forged Roll with superior range of forged rolls. These forged rolls which are known to us for its superior performance and efficacy. These are made using a very fine raw material as per the latest technologies. These are also utilized in different industrial applications like steel rolling plants, machine tools, textile plants, and material handling equipments as well as sugar mills, cement plants and many more. We manufacture the Sugar Mill Roll that possesses the attributes that are custom made to the distinctive applications like for crushing, grinding, cracking, crumbling and flaking in various industries such as flour mills, cereal plants oil mills, coffee mills, chocolate plants, feed mills etc. 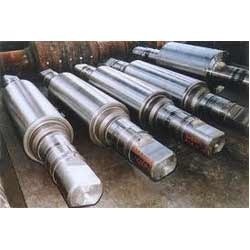 The advantages of these rolls comprises prolonged service intervals, enhanced hassle free operation time of the mill, lesser power consumption, reduced repair costs due to lesser down time, enhanced uniform product quality, flexible operations owing to maximum machining as well as efficient balancing of the rolls. We manufacture these rolls, as per the specific requirements of customers in the form of ready to use, pre-machined or as semi-finished blanks. 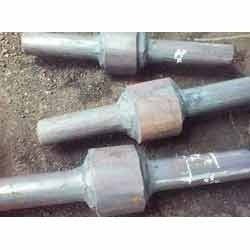 We are the prominent manufacturers of Roll Forging which are made according to the international quality standards to offer superior quality range. These are utilized in different industrial applications. They are available in various capacities ranging as per the requirements of our valuable clients. These are accessed at reasonable prices in the market. These are made using premium quality materials. Looking for Forged Roll ?